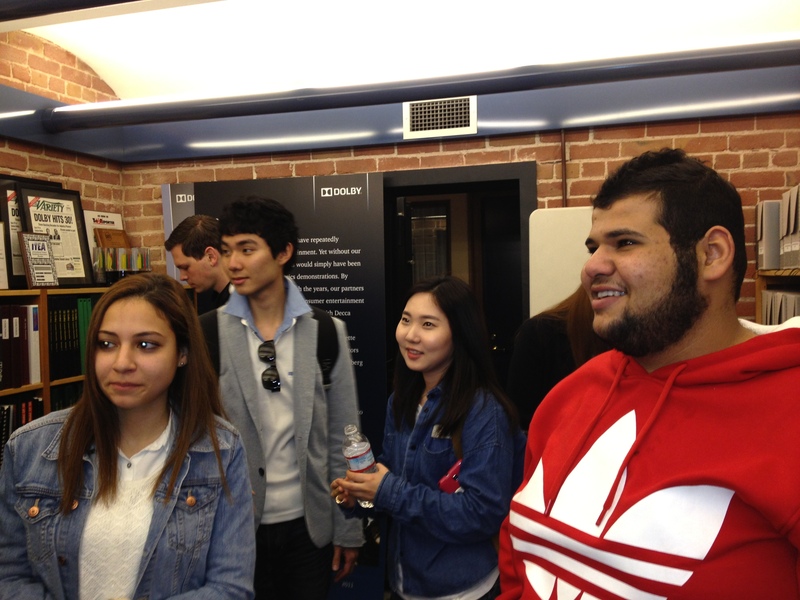 On March 29, 2013 EC Pre-Intermediate and Business Lab students at EC San Francisco, an English Language School in San Francisco, took a field trip to Dolby Labs. 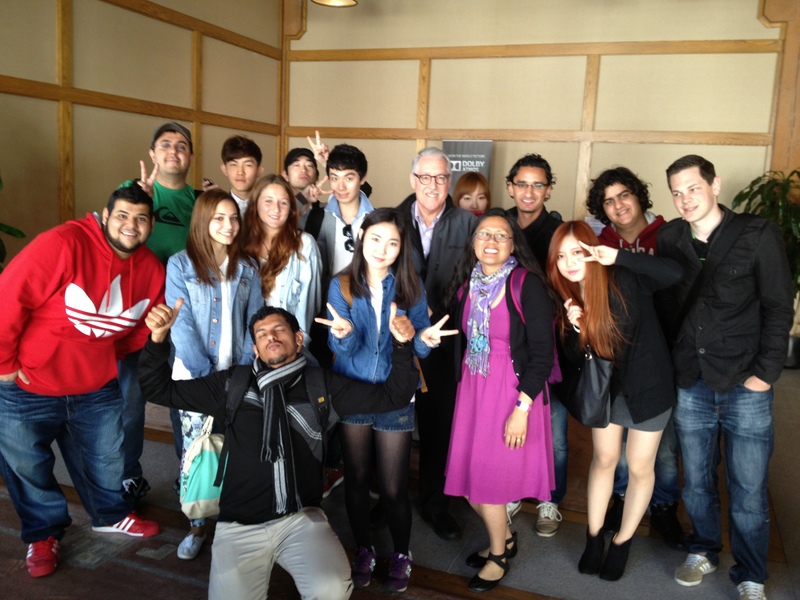 The trip was prompted by Matthias, a Business Lab student from Switzerland, whose class project is doing a financial analysis of Dolby Labs. Their teacher, Cyndi Cadua, contacted Dolby by email and was informed they do not give public tours but would make an exception in this case. Roberto Landazuri, Dolby’s Corporate Archivist was kind enough to lead our tour. The students learned about the building where Dolby’s worldwide headquarters is located near the Potrero Hill neighborhood. The building was built as a canvas factory in 1910, not long after the 1906 earthquake. 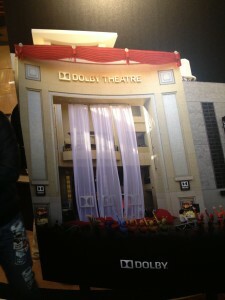 During Dolby’s seismic retrofit in the 1980s, gravestones were discovered at the site and it is speculated that some of the building’s materials are recycled headstones. In the center of the building is small room, with two foot-thick doors on either end. Back in the early 20th century, the factory employees were paid in cash so a “vault room” was required to store all the money. Cyndy (in the pink dress!) 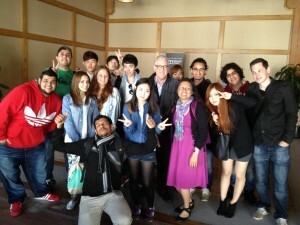 and her class in the lobby of Dolby Students. 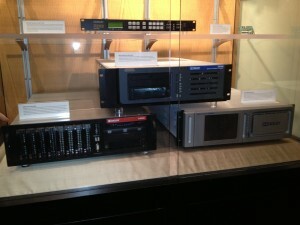 In the archives of Dolby….really a vault holding a lot of history of film and television. An array of movie production equipment! 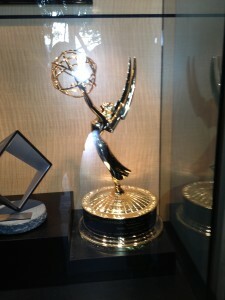 This is one of Dolby studios Emmy Awards. The Emmy’s are Television Awards and a pretty big deal! Here is a photo of the Dolby Theater in Hollywood where the Academy Awards are presented each March.